I had received an e-mail from Google back on June 29th. It stated "We did want to let you know that we've escalated your report to the appropriate engineering team. Even though we don't have an immediate fix to your problem, please be assured that we're working hard for a resolution". I am working on my site tonight, and following up on this issue. The name of the cemetery is "Cemetery at The Green". 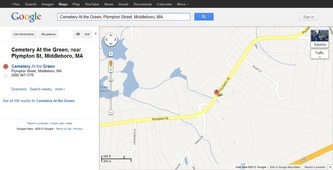 When I go to Google, then Maps, and I type in "Cemetery at The Green, Plympton Street, Middleboro, MA", I expect to get one cemetery listing. Instead, I get two. On the picture below shows the search results. 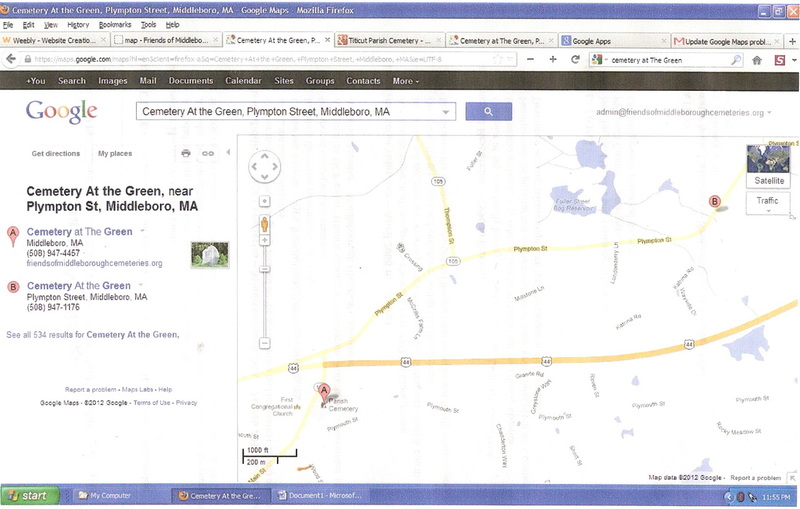 Teardrop A identifies the correct location of the cemetery. The name is spelled properly. The telephone number and the website are correct. 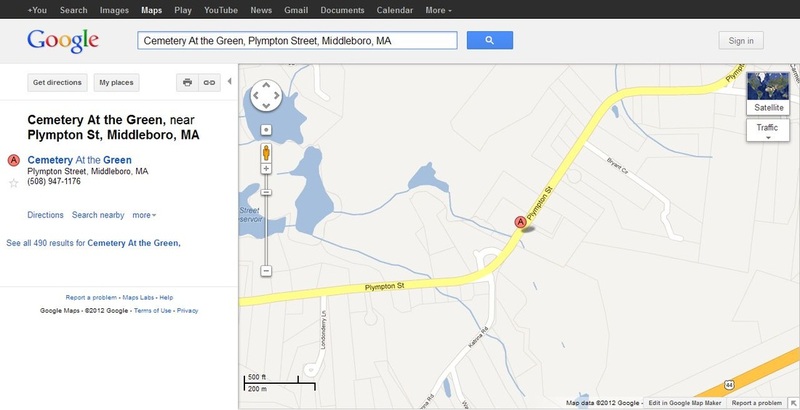 The street field does need to be updated to "Plympton Street". There appears to be an alternate name of "Parish Cemetery" next to the teardrop and the cemetery symbol. Please delete the alternate name. Teardrop B needs to be deleted. There is nothing correct about any of the information that it contains or represents. So here is the issue. The name of the cemetery is "Cemetery at The Green". It has had that name since 1909. When we do a search for the name of the cemetery (Cemetery at The Green) the result is the A and it is not fixed to the geographic location of the cemetery. 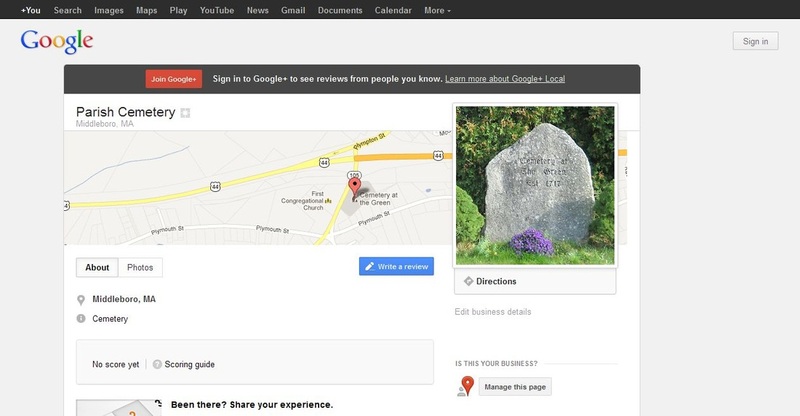 When we go to the geographic location, the map shows the name "Cemetery at The Green", but the page header shows "Parish Cemetery", which is not the name of the cemetery.